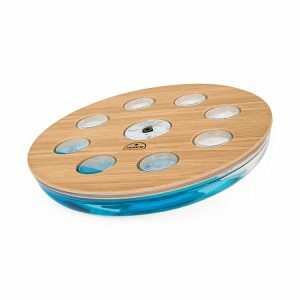 The NOHrD Balance Board is a new-generation balance board boasting a patented combination of classic balance training with the element of water. The NOHrD Balance Board’s water content follows its own will, working against the athlete. The result, water flow shifts direction with each move of the user. No regular patterns can be practiced or memorized, the body is triggered into immediate reaction to the water’s apparently arbitrary stimuli. The NOHrD Balance boards are suitable for all ages and, if used regularly, will enhance fitness and balance while always remaining easy on the joints – in the home, office or studio. 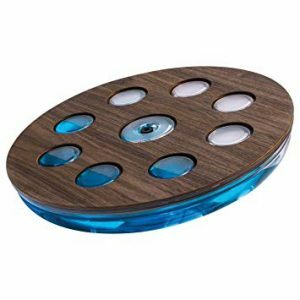 Put simply, the NOHrD Balance Board is all about balance, challenging the user with a constantly unsteady, shifting base – thus, forcing the body to react with each tilt. Compensatory moves engage the deep muscular system while the body responds to continual impulses and stimuli.